Cardfight Vanguard is a fairly new game here in the States we are currently in the 2nd set with each set having a trial deck that can be purchased so you can jump right into the fun (or test the waters) with out a huge investment. I though that before I got into deck reviews of competitive or evolving archetypes, it may be best to talk about the trial decks which are for all intents and purposes great decks to play with. This is a constructed deck built of 50 cards. This set exclusively features Royal Paladin's Clan only. 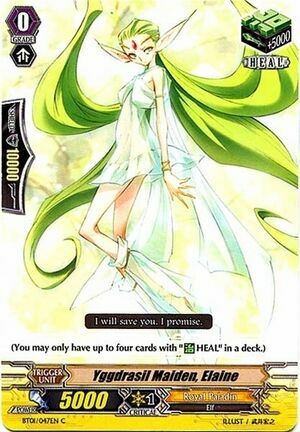 There are 7 cards exclusive to the Trial Deck and 3 Holo cards per deck. 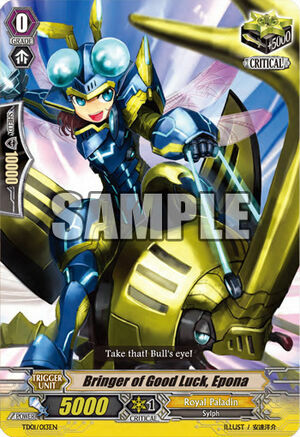 Stardust trumpeter is your standard Grade 0 starting vanguard. Starting Vanguards are "normally" non trigger units so that you can keep all 16 triggers that you are allowed in the deck (there are some exceptions to this that Ill probably get into with trial deck 3. 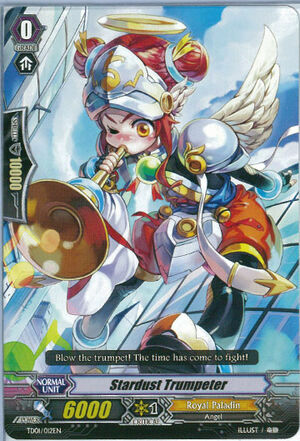 In return for your lack of trigger, stardust trumpeter as most vanilla starting vanguards give you a higher attack of 6000 that the normal grade 0 attack of 5000 or lower. The deck the 16 triggers evenly distributed 4 Heal / 4 Critical / 4 Draw / 4 Stand and as of this trial deck there is not much to say about them at this moment. 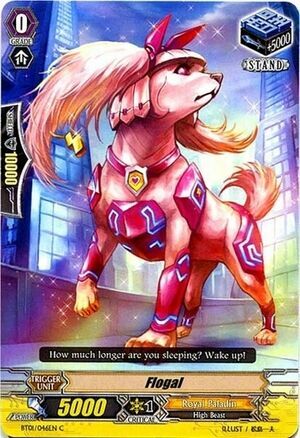 [AUTO](VC/RC): [Choose a card from your hand, and discard it] When this unit attacks, you may pay the cost. If you do, this unit gets [Power] +4000 until end of turn. IMO she is not as balanced as Maron dispite her ability to jump up her attack to 10000. Im just not a fan of the discard. More often than not Ill have her as a back row rear guard to boost a front row. In a pinch that extra 4k can come in handy. Always remember to do your math though, Ive played people that attacked my 6000 attack unit and added her ability 6000 vs 6000 is the same as 10000 vs 6000 either way I only have to use one 5000 guard to block it and the discard over rides any advantage you gained by causing your opponent to block. [AUTO]: When this unit is placed on (RG), choose another of your <Royal Paladin>, and that unit gets [Power]+2000 until end of turn. 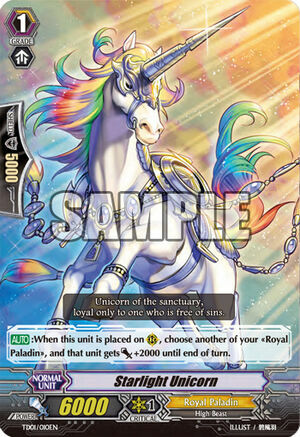 Starlight Unicorn is the other Grade 1 Trial deck exclusive, whom Im actually quite fond of (though may get dropped as you buy boosters and more sets arise. For me the strength in this card is its ability to add power to any RP unit meaning that if you need to push an attack through or to hit a magical number with a unit that this card can't directly boost from the back row than this card will do the trick. Never underestimate the usefulness of an extra 2000 plus there is no discard or other cost to satisfy except that it can only occur when placed on a Rear Guard Circle. NO you don't get it when it rides a vanguard, NO you don't get it when you switch positions with a noter rear guard, YES you can apply it to the unit that this unit is going to be boosted, or will be boosting. 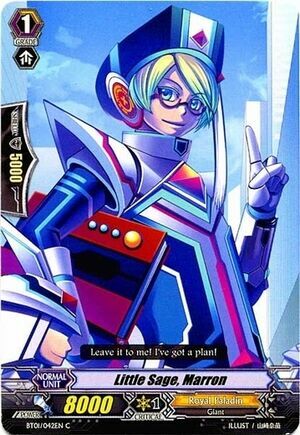 [AUTO] 【RC】: When this unit boosts a card named "Blaster Blade", the boosted unit gets [Power] +4000 until end of that battle. 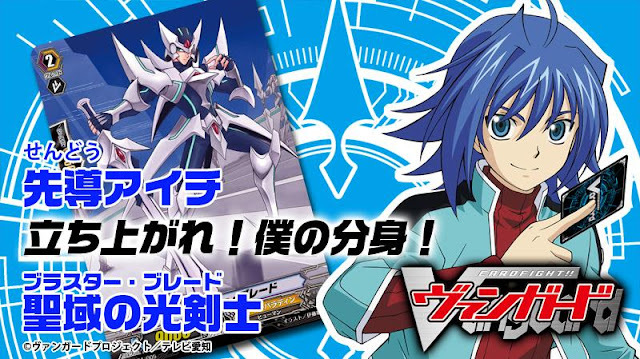 Wingal's art IMO in the trial deck is ok where as he is hideous in the booster, but as an effect he is fantastic for a trial deck build that will be utilizing Blaster Blade as one of the main attackers Blade's 9k+wingals 6+4 boost = 19000 so against another 9k unit like blade you will force your opponent to guard with at least 2 units, other than that he's a standard booster for your front row. Little Sage, Marron is your vanilla 8k attack grade 1 but I don't want to diminish the importance of this card, 8k boost is amazing. Im most cases you will summon him to the front rear guard then bring him back to the back rearguard to boost. I always try to max out his numbers when I play even in decks built beyond the trial. AUTO](VC/RC): When this unit attacks, if the number of cards in your hand is greater than your opponent's, this unit gets [Power] +3000 until end of that battle. [AUTO](VC): When this unit's drive check reveals a Grade 3 《Royal Paladin》, this Unit gets [Power]+5000 until end of that battle. 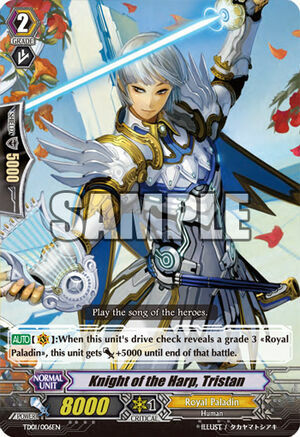 Knight of the Harp, Tristan is the only grade 2 trial deck exclusive. My personal opinion is that Im not too fond of cards that rely on drive checking a rank 3 (like Ashura Kaizaa in Nova Grapplers which Im now scaling back on in my NG build) BUT!!!! if you want to look a the math you have 7 grade 3s in the deck and 16 triggers so out of a 50 card deck you have almost a 50/50 chance of of gaining a +5000 boost. So the card has its uses it just will have consistency issues as you expand your deck and other cards become available (especially if you want to go after more Blaster Blades which has some more dynamic uses in the deck. [AUTO]: [Counter-Blast 2] When this unit is placed on (VC), you may pay the cost. If you do, choose an opponent's rear-guard, and retire it. 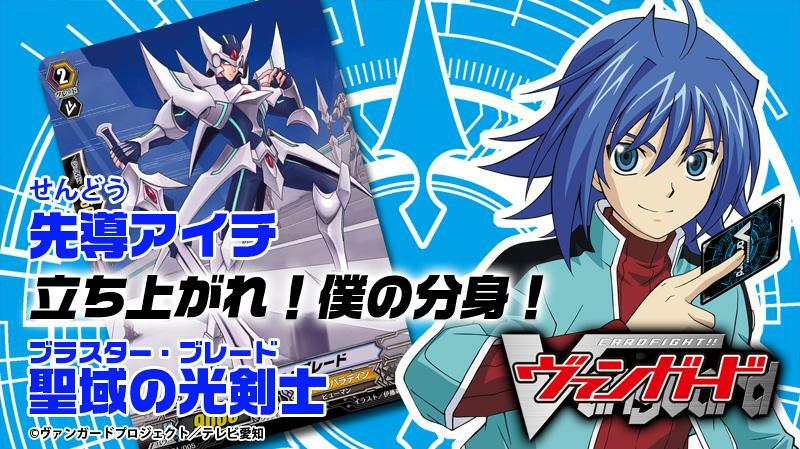 Here he is Blaster Blade the card that started it all in the anime when Kai gave it to Aichi. 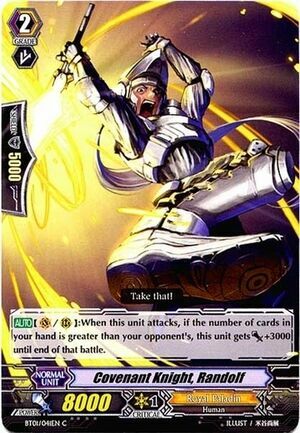 A 9k attack grade 3 unit who can blast an effect from either Vanguard or rear guard spots. You will want to try to pick up 4 of these asap since he can be superior ridden from the deck if you pick up a Llew and Barcgal. you may scale this back in the future but for the purposes of the trial you can search him out via Solitary Knight Gancelot, who also needs a Blaster Blade in the soul if he is to use his other effect. He can be boosted to 19k if supported by Wingal. And it may not be apart now since both trial decks currently available do not have a unit with this ability but there are some intercepts that gain 5000 guard when they intercept so the ability to blow up a rearguard can mean the difference of an attack hitting or not. Kight of Silence Gallatin is to grade 2s what Little Sage Marron is to grade 1s. He is a 10k vanilla. Never under estimate the value of a good strong vanilla to help call out guards/intercept from your opponent and to generally keep the pressure on. In the booster he comes Rare and I sought out 4 of him in rare just because I see him taking up deck space for a good while to come. 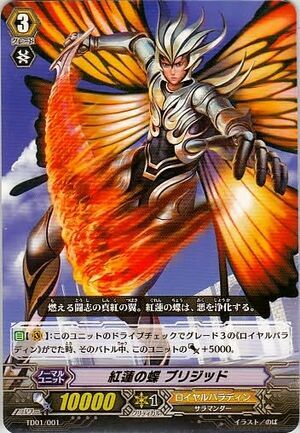 [ACT](VC): [Counter-Blast 2] If you have a card named "Blaster Blade" in your soul, this unit gets [Power] +5000/[Critical] +１ until end of turn. 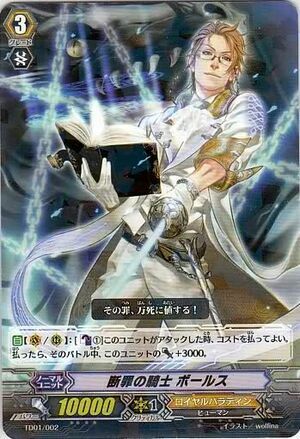 [ACT](Hand): [Reveal this card to your opponent, and put it on top of your deck] Search your deck for up to one card named "Blaster Blade", reveal it to your opponent, put it into your hand, and shuffle your deck. Solitary Knight, Gancelot serves 2 main purposes in the trial deck. Is first is to search out a Blaster Blade which only one comes with the deck as opposed to the 3-4 that gets run in the more competitive builds. 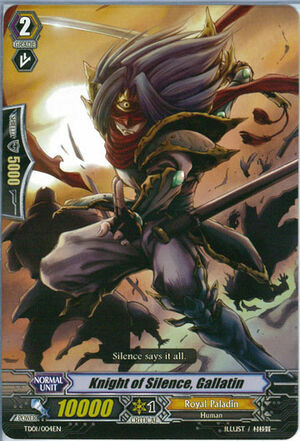 His second purpose is to ride as vanguard with a blade in the soul. This lets you counter blast 2 to gain +5000 attack and an extra critical 14000 when boosted by a 6,000 is 20k its not the preferred 21k since the other trial deck kagero has a grade 3 with 11k but in most cases you will try to boost it with Marron to swing for 22k hitting that magic number. You will find that people will drop and intercept like mad to prevent this card from hitting. Tips and tricks- Conserve your counter blast if you know your gonna go for gancelot's 1st effect. 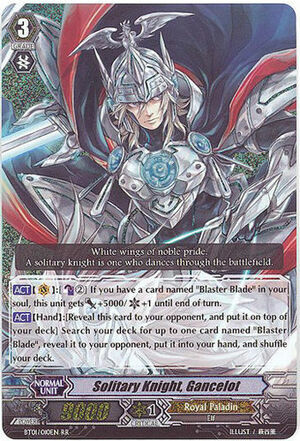 So don't get all counter happy when you summon Blaster Blade. i say this because if you have 4 damage to counter with you can stack Gancelots boost, counter blast 4 damage to make Gancelot 19000 and 3x critical, boot him with marron for a 27000 attacker that will either severely deplete your opponents hand/field as they try to guard or send 3 cards fluttering to their damage zone. [AUTO](VC/RC): [Counter-Blast 1] When this unit attacks, you may pay the cost. If you do, this unit gets [Power] +3000 until end of that battle. 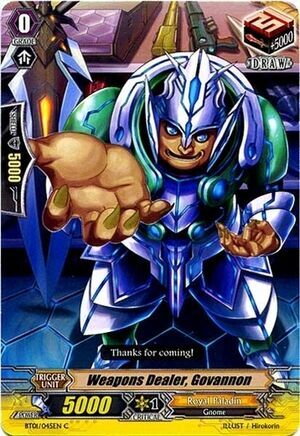 Knight of Conviction, Bors, is one of the 2 Trial deck exclusives and Im torn on him to be quite honest. He's 10k attack which is great but what has me is the cost on his effect, try enough 1 counter blast isn't a huge amount but the Paladins tend to go through the counters quick. But honestly paying the cost to be at 13k isn't bad at all, boosted with Marron he can swing for 21k and that my friend is a great way to have them drop 2 cards or take the hit. [AUTO](VC): When this unit's drive check reveals a grade 3 <Royal Paladin>, this unit gets [Power] +5000 until end of that battle. SO WHERE DO WE GO FROM HERE???? You can actually start playing right away with the trial deck and it should do quite well assuming you are not in a highly competitive area, where vanguard is still new but.... A trial deck is like a yu-gi-oh structure deck, it gets you 80% of the way there and you have to fill in some pieces to give it more options, consistency and dynamic play.